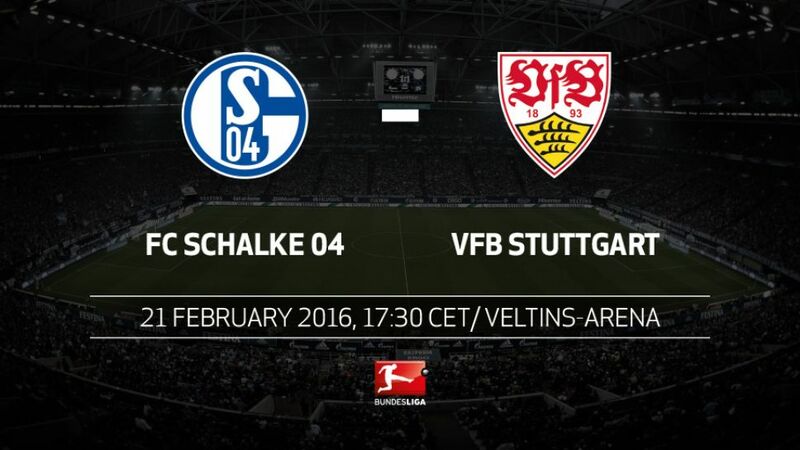 FC Schalke 04 have their work cut out for them as they look to close the gap on the UEFA Champions League places, with on-form VfB Stuttgart up next at the VELTINS Arena on Sunday evening (kick-off: 17:30CET/16:30GMT). Schalke are without defenders Benedikt Höwedes and Matija Nastasic as they look to bounce back from last Friday’s 2-1 loss at 1.FSV Mainz 05. Die Königsblauen are fifth, two places behind Hertha Berlin in the final UEFA Champions League place. Although they will begin the day five points and six places worse off than Schalke in tenth, Stuttgart promise to be a difficult proposition for Andre Breitenreiter’s side. The Swabians have won all four of their Bundesliga games since the turn of the year – something not even runaway leaders FC Bayern München have managed. Stuttgart boast the longest undefeated run in the Bundesliga (seven matches since the end of November). They are the only team in the division to have won each of their previous five matches.With four wins and 11 goals scored, Stuttgart are enjoying their best ever start to the second half of a Bundesliga season.Schalke coach Andre Breitenreiter has a marginally better win percentage than predecessor Roberto Di Matteo so far, yet a significantly poorer one than Jens Keller. Fifth coming into Matchday 22, Schalke’s high position in the table can be largely attributed to their impressive start to the season. After seven matches, Die Königsblauen won five of their first seven games, picking up a club-record 16 points in that period.Since Jürgen Kramny was appointed coach in December, Stuttgart have averaged 2.1 points per game. No coach in Stuttgart’s history has averaged more points per game.Key to Stuttgart’s upturn in form has been the form of Filip Kostic and Lukas Rupp. Forward Kostic already has three goals and one assist in 2016, whilst midfielder Rupp has chipped in with a further two assists.Schalke midfielder Younes Belhanda and Stuttgart forward Artem Kravets played the first half of this season alongside one another at Dynamo Kiev.